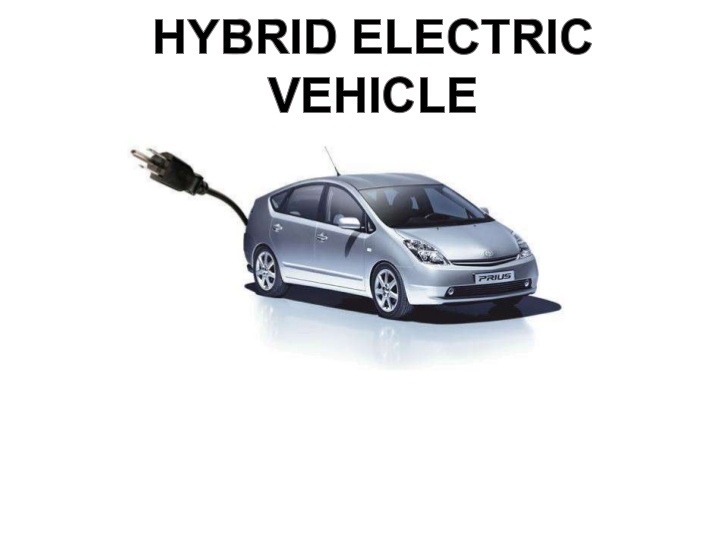 The owner of the car complains about the very fast discharge and charge of the hybrid HV Battery. 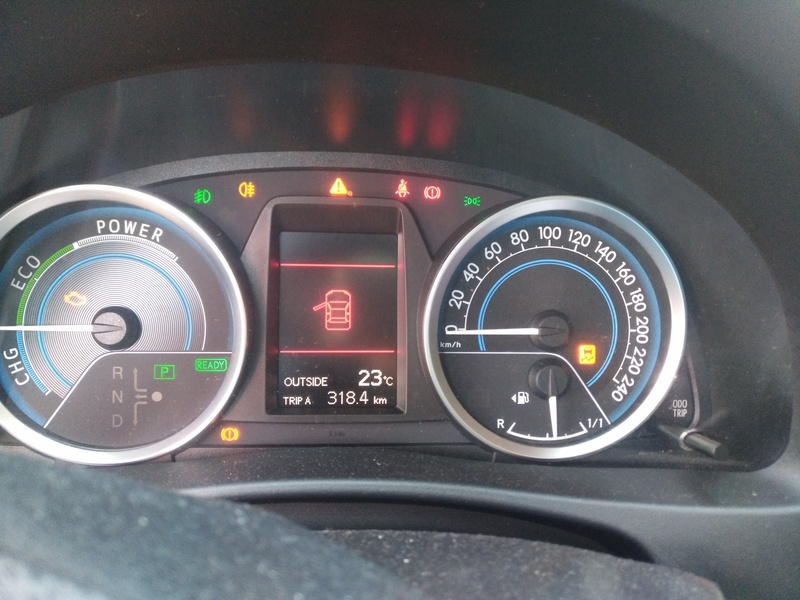 The car never moves only on electricity and turned on the engine every time when the accelerator touches. Also, errors are on the board. Here’s what we’re getting into. Photo 2. We start with diagnostics. We will take advantage of the Techstreem program. Photo 3. At first everything is almost in the norm. But in a few minutes things are going bad. We turn on the computer and connect the car. 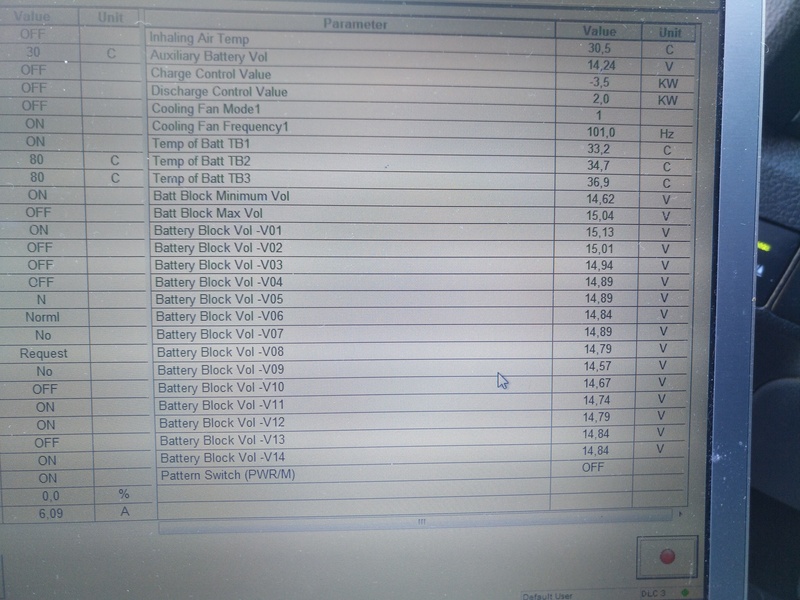 And We see the following errors: ABS block – error C1259 (regenerative braking failure); block of the hybrid system – error C2679 (high-voltage battery failure); HVB control block – errors C2544 (Hybrid battery cell current correlation) – (voltage difference between HVB connections exceeds the allowable value – delta SOC exceeds 38%); C2579 (there are defective elements in VBB). How do you think which of these errors is the main one and what are the investigations? Right. The main mistake we will be struggling with is (HVB element malfunction) After we repair HVB, much of the other bugs will disappear by themselves. 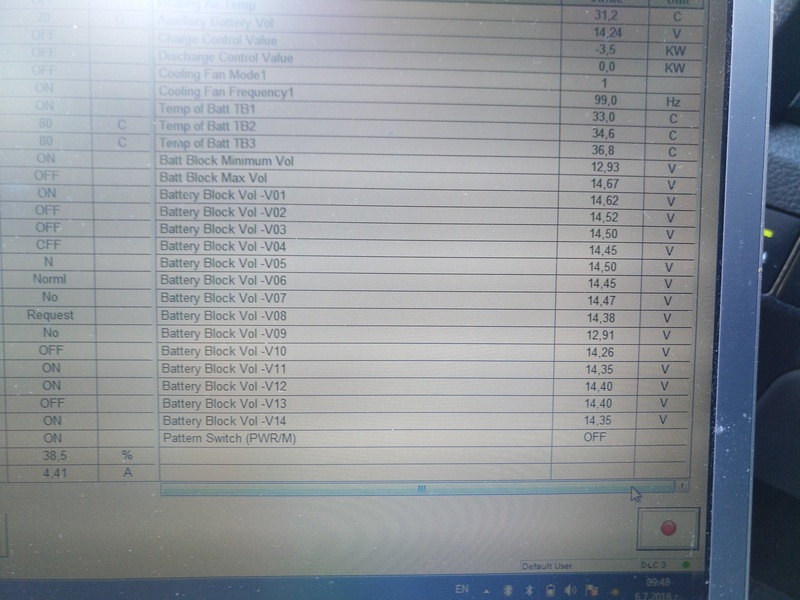 In fact, an ECU on the hybrid has in its memory the error C2679, which “recorded” based on error C2579, obtained from it by the ECU in HVB. It sends a command to the ABS block, which turns off the regenerative braking system in order not to overheat or explode any HVB element. The same applies to C2544 and C2679 errors. After the proper repair of the HVB and the reprogramming of the data control unit, the SOC delta SOC at 20%, these errors will disappear on their own. After reading the errors, we need to look at the scanner for a few more mandatory current parameters. We are interested in the following. 1. When (how many kilometers back) the last erasure was performed. We will talk about separately why we need this. 2. STATE OF CHARGE or “charge level HVB”, delta SOC (level of difference of HVB pair of capacitance, charge and voltage). 3. Difference in voltage between the “strongest” element of BBB and the “weakest” element. Picture 3 shows the current data we read. What can we say about these errors and parameters? It may surprise you, but in this case, according to these errors and the current parameters, we can only say one thing: this HVB is defective and requires repair. And nothing more! I already see that there are skeptics who will immediately say, “What do we have to think of him ?! The 9th Element in HVB is death! “. And their thoughts will be completely wrong! Why? Yes, of course, no! Especially for skeptics we will try to load this battery. How can we do this without removing HVB from the car? This is very simple. To do this, the gear lever must be set to neutral “N”. In this way, we are forced to exclude HVB charging. Then our task is to “lower” the voltage of the elements to 14.2-14.4 V or to 7.1-7.2 V of each element. 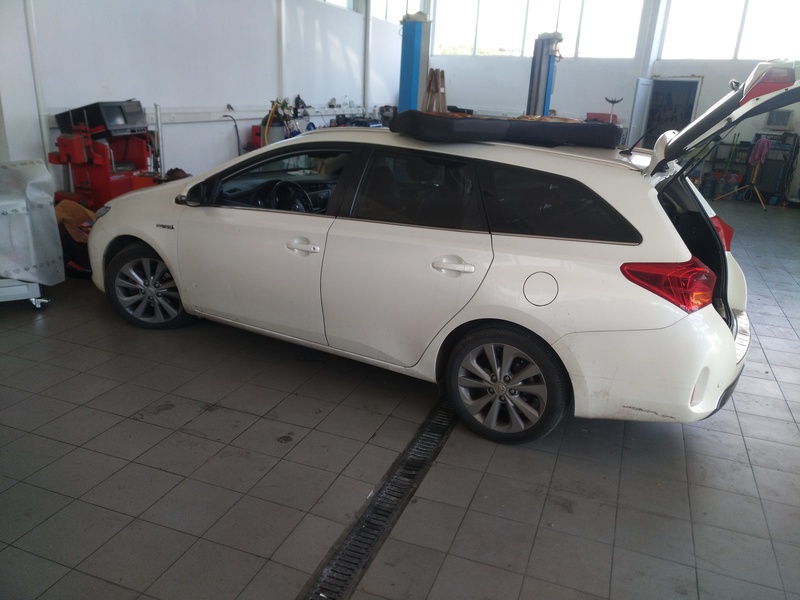 And in the next lesson we will find out WHY this happened and HOW to prevent damage to the hybrid battery.